If you leave the ASU campus on Mill Avenue and continue south for approximately 2.5 miles, you’ll find The Davenport just past East Hermosa Drive and north of Superstition Freeway. Immediate highway access makes this location suitable for residents commuting to other areas of Tempe for work, but you can also reach the university in less than 10 minutes with light traffic. Mill Avenue runs along the western edge of the Tempe campus, so you must determine how far north to travel before making a right turn onto campus streets. Turning on East Apache boulevard will take you to the ASU Gammage, which is where the university holds graduation ceremonies and a variety of live theatrical performances. You can also reach southern parking lots, the intramural fields and the Sun Devil Fitness Complex from this road. If you travel further north on Mill Road, you can turn on University Drive to cut through the center of campus. The area south of this road is mostly administrative and academic buildings while the northern region of campus is home to entertainment complexes like the Wells Fargo Arena and the Sun Devil Football Stadium. 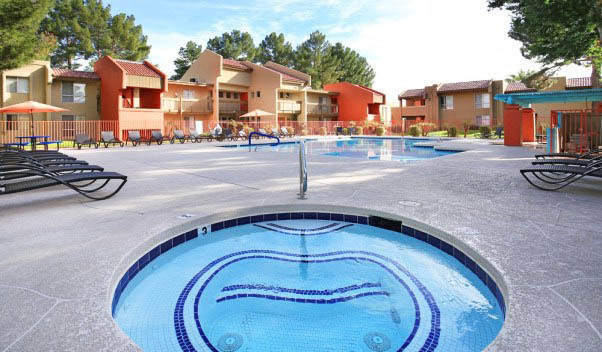 You may appreciate the short and simple drive to the ASU campus, but this apartment complex is also popular with residents depending on public transportation. The location falls right on the Valley Metro 66 bus route, and there is a bus stop right next to the apartment complex at the corner of Hermosa Drive and Mill Avenue. A northbound bus will take you to the western edge of campus, and you should reach University Drive within 15 minutes. The buses do have bike racks, so you may decide to get off at University and bike your way through campus. You can also access the light rail system from University Drive. The light rail line will take you to the northern areas of campus or to Tempe destinations northwest and southeast of campus. You can walk, bike or drive to several small parks located within a mile of The Davenport, including Dwight Park, Palmer Park and Joyce Park, which is located right next to Carminati Elementary School. There are also some entertainment venues located within walking distance of the apartments, including AMF Tempe Village Lanes approximately one mile to the east and Kiwanis Lake and Park approximately one mile to the south. Restaurants are scattered in all directions, so there are many options for dining out.